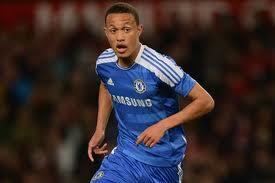 Lewis Baker dictated the play throughout. Chelsea advanced to the NextGen Series final where they will face either Aston Villa or Sporting Lisbon on Monday after their entertaining affair with Arsenal. The Young Gunners put up a huge fight against Dermot Drummy’s men but eventually narrowly missed out, losing 4-3 in Lake Como, Italy. Arsenal started the much brighter team and took the lead through Chuba Akpom after 16 minutes. They dominated the first half but Chelsea equalised at the start of the second when Islam Feruz followed up a saved penalty. Lewis Baker gave them the lead after 54 minutes from 25-yards out and Jeremie Boga made it 3-1 ten minutes later. Arsenal came back magnificently as the game entered its final stages, though. Akpom added a second and Serge Gnabry continued his fine form to send the game to extra time. It was Baker that would be the hero in the additional period as he tapped in John Swift’s neat play to send the Blues into Chelsea’s final. Watch all the goals in the video below.